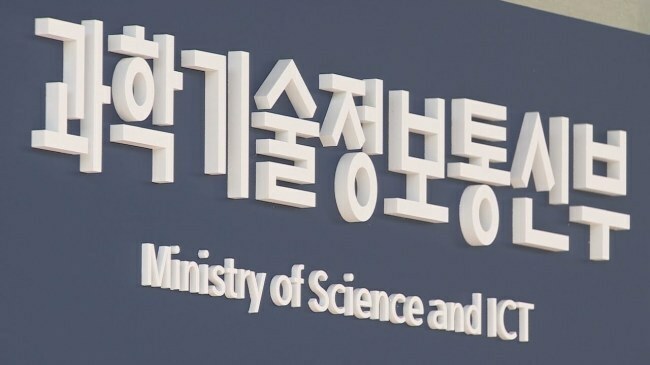 South Korea's actual exports in the information and communications technology sector fall way short of the projected amount the government has announced, a report submitted for parliamentary audit showed Monday. Some US$2.51 billion worth of ICT exports were expected from 2014-2018 through consultation sessions held both at home and abroad, according to the report from the Ministry of Science and ICT. The government spent 10.04 billion won ($8.94 million) to support the consultations during the period. The actual exports, however, stopped at $164.63 million, approximately 6.5 percent of the projected amount, the report given to opposition lawmaker Yoon Sang-jick showed. The government supported 840 million won for overseas consultation events targeting the United Arab Emirates, England, France, Vietnam and Indonesia, which resulted in 471 cases of discussions on exports totaling $151.94 million, figures in the report showed. None of the cases resulted in real exports. The Cloud Expo held in 2014 in South Korea's southeastern city of Busan received 520 million won in government support and produced $8.99 million worth of talks for exports, but they also fell through, according to the report. The same expo the following year started with $22.85 million worth of export negotiations but ended with $100,000. Similarly, consultations in 2015 in China, Japan and Malaysia generated $541.28 million in export talks but stopped at $2.33 million in outcome. Actual exports from ICT exhibits last year in the United States, China and Japan were about 2 percent of the consulted amount.